Windows Analytics uses Azure Log Analytics (formerly known as Operations Management Suite or OMS), a collection of cloud-based servicing for monitoring and automating your on-premises and cloud environments. The OMS portal has been deprecated; you should start using the Azure portal instead as soon as possible. Many experiences are the same in the two portals, but there are some key differences, which this topic will explain. For much more information about the transition from OMS to Azure, see OMS portal moving to Azure. 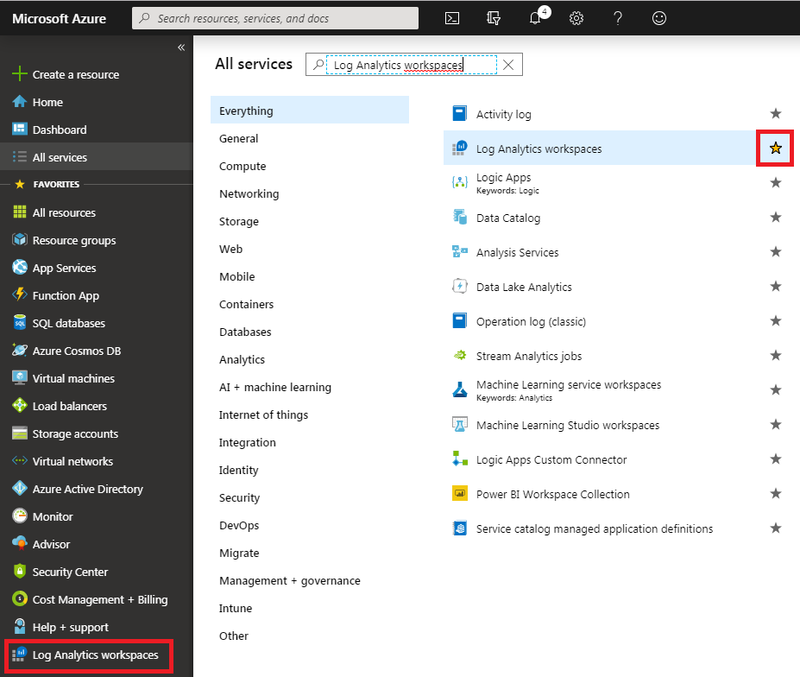 Go to the Azure portal, select All services, and search for Log Analytics. Once it appears, you can select the star to add it to your favorites for easy access in the future. Azure Active Directory is the directory that Azure uses. Azure Active Directory (Azure AD) is a separate service which sits by itself and is used by all of Azure and also Office 365. An Azure subscription is a container for billing, but also acts as a security boundary. Every Azure subscription has a trust relationship with at least one Azure AD instance. This means that a subscription trusts that directory to authenticate users, services, and devices. Unlike the OMS portal (which only requires permission to access the Azure Log Analytics workspace), the Azure portal also requires access to be configured to either the linked Azure subscription or Azure resource group. 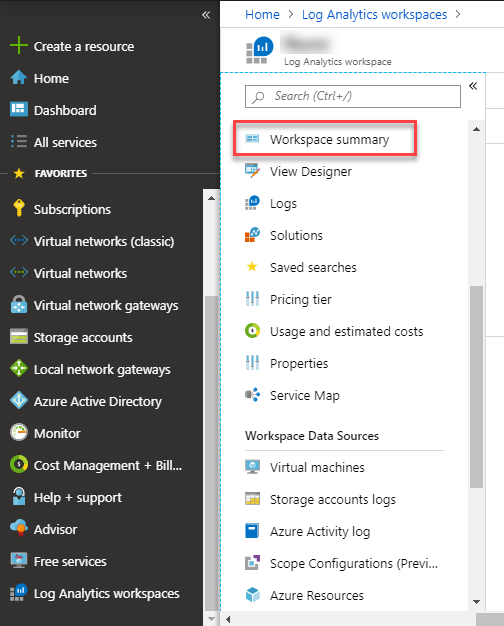 If you do not see your workspace in this view, but you are able to access the workspace from the classic portal, that means you do not have access to the workspace's Azure subscription or resource group. To remedy this, you will need to find someone with admin rights to grant you access, which they can do by selecting the subscription name and selecting Access control (IAM) (alternatively they can configure your access at the resource group level). They should either grant you "Log Analytics Reader" access (for read-only access) or "Log Analytics Contributor" access (which enables making changes such as creating deployment plans and changing application readiness states). When permissions are configured, you can select the workspace and then select Workspace summary to see information similar to what was shown in the OMS overview page. Select the solution from the list that is returned by the search, and then select Create to add the solution. To access these settings, both the subscription and workspace require "contributor" permissions. You can view your current role and make changes in other roles by using the Access control (IAM) tab in Azure.